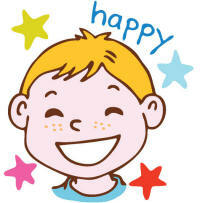 All NEW! Whether you are looking for a quick monkey craft for a jungle themed party, or some inspiration for Year of the Monkey and Chinese New Year, or your child just loves monkeys... we hope we've got something for you here! 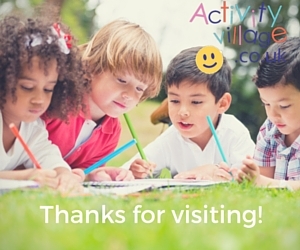 We've used to "junk" and easy to find materials and you can adapt the crafts to work with all ages of children. In the colder months we definitely tend to do more crafts. This little monkey is a great way to mark your child's territory - and he'll be even more appreciated if your child makes the door hanger themselves! 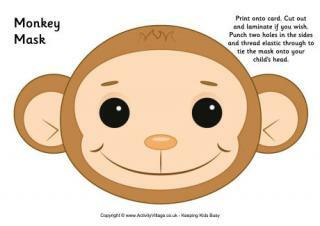 This monkey door hanger template is used in our monkey door hanger craft. Get the craft foam out and off you go! We used a large yoghurt pot lid for the "face" of our monkey magnet, and he looks so happy and cheerful on the fridge that I think he might stay there for a while! This could be a fun party craft as long as you had collected enough lids for all the children. We've got not specific instructions for our monkey paper cut but I wanted to include it for inspiration! We took inspiration from our Little Monkeys Colouring Page, here. Imagine this paper plate monkey on display on the wall - or maybe a whole "flock" of them! 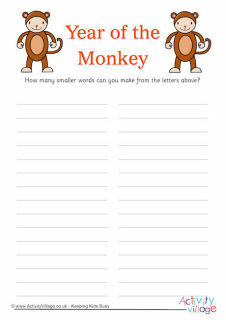 It's such a fun and simple monkey craft for little kids, I hope you will have a go. Here's a fun use for a paper plate - a monkey mask! Cutting out the eyes the way we have makes this a really easy mask for younger children to play with. This cheeky little monkey is made from a loo roll and a few pieces of card or paper. He looks great sitting on the edge of a shelf or the top of a cupboard, or perched on the rim of flower pot in front of a "jungle" plant, with his legs dangling over the sides! This really is a fun monkey craft for the kids to try - they will love the way that the monkey can "climb" his own tree! It is trickier to explain than it is to do, so we've included lots of photos to help.